WASHINGTON (CNS) — Love has its ways. And so does Facebook. That’s how Sadhana Singh and My Ford Noel met last April. She’s a “Dreamer” attending Trinity Washington University. He moved to Washington from Palm Beach, Florida. Both received scholarships from TheDream.US, and both now face uncertain futures. Singh is a recipient of the Deferred Action for Childhood Arrivals program, or DACA, and her permit under the program expires this October. Noel, a Haitian, has Temporary Protected Status that ends in July 2019. With three associate degrees and a bachelor’s in supply chain management, Noel said they are considering a move to Canada. The current anti-immigrant atmosphere in this country doesn’t seem to leave much room, or time, for the pursuit of happiness. Contributing to this atmosphere was a comment attributed to President Donald Trump in questioning why the U.S. would accept more immigrants from Haiti and “(expletive) countries” during a meeting on immigration that touched on TPS immigrants from Haiti, El Salvador and some African nations. “This administration sort of made America a little bit hostile at least mentally,” Singh said, noting an increase in internet aggression directed at immigrants. The U.S. Conference of Catholic Bishops’ Justice for Immigrants campaign says its five principles are rooted in the Gospel and Catholic social teaching: persons have the right to find opportunities in their homeland; persons have the right to migrate to support themselves and their families; sovereign nations have the right to control their borders with wealthier nations obliged to accommodate migration flows; refugees and asylum seekers should be afforded protection; and the human dignity and human rights of undocumented migrants should be respected. Singh said her parents brought her to the United States from Guyana because of economic hardship. 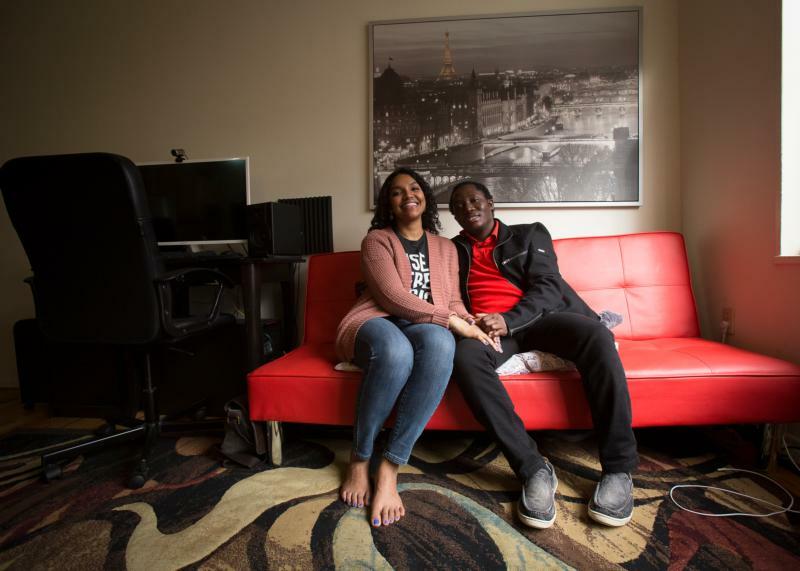 She was an eighth-grader with a Creole accent living in suburban Atlanta, and had to manage her parents’ checkbook, utilities and phone calls because of their language barrier. She obtained DACA status seven years after graduating from high school. Three years after moving to Washington to pursue a degree in communications with an international affair minor, Catholic-run Trinity Washington University awarded her the St. Catherine Medal for her leadership on campus, “Dreamers” activism, six internships and 3.95 GPA. In September, President Trump announced that he would end DACA this March and he also called on Congress to come up with a legislative solution to keep the program in place. Many are urging members of Congress to pass the Development, Relief and Education for Alien Minors Act, or DREAM Act, which has long been proposed and which gives DACA recipients the “Dreamer” name. Noel left Haiti an orphan. As a child, he endured the political unrest of the 1990s, and as a teenager, he survived the 2010 earthquake that left more than 220,000 people dead. He was granted TPS in Florida that same year. In recent weeks, the administration has also announced it was ending TPS for several countries, including Haiti. Before moving to Washington to be with Singh, he taught classes at Broward College in Fort Lauderdale, Florida, and had a small Segway business for tourists. He is currently an inventory logistics manager with Avis Budget and in his free time designs a new business model for online shopping. Singh said she is fortunate to have Noel in her life. Together they support one another and problem-solve issues they’re familiar with. “I’ve dated Americans before, and you tell them stuff, but it’s very much cursory. It’s very much like ‘Oh, well.’ This is my situation and then you move on to something else,” she told CNS. Both say finding love is not about papers or citizenship.